Taking was the most primitive form of trade. A beating was given for a piece of the pie. This worked just fine, in fact it works till today. However, it carries consequences born out of necessity that not too many want to deal with. Born out of a natural inclination to seek something better through peaceful means, Barter came into existence. Barter was great because it answered supply and demand. Barter is still a used form of trade across the world. It is still a free trade enabler today in local areas. As barter moved along the way, we began to notice trends in shiny things. A lot of people indulged in barter to buy these shiny trinkets. Shells and stones form our earliest forms of coins. As the demand to a form a safe and bankable currency grew, gold and silver became a standard. This was progressive as both metals were scarce; they formed value through their scarcity and difficulty to mine. They continue to be a vital source of value estimation till today. Paper currency made its appearance in China to avoid the bulk of coinage for large commercial transactions. These were IOU’s that were guaranteed by reputation and trust. This was guaranteed by banks which promised to pay the bearer its value in gold or silver. Gold backed currencies continued to be the norm until the late 1900’s. As governments needed more money, they printed it, and as they did, the value of gold rose. As globalization of trade occurred, more cash was needed to pay for transactions which then led to card based payments in order to avoid the bulk. 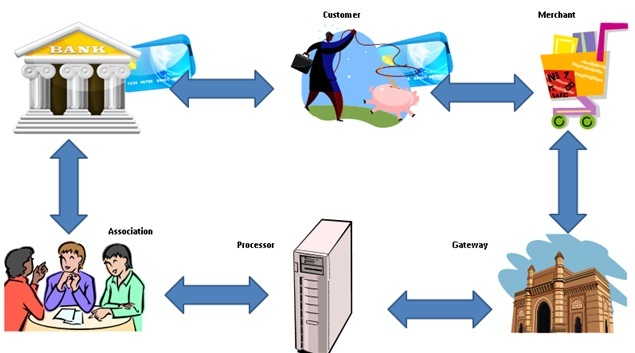 This is a complex ecosystem as there are several players involved in completing a card based transaction. Cards come loaded with fees due to the number of layers and security channels that are needed to transfer money safely. As most currencies became harder to value with a gold backing, the gold backing was dropped, and forced tender came into practice around many countries. Fiat money as it is called is a government decree that reconciles a debt if it has been paid in government currency. This continues to be at the forefront of our economy today. With the advent of affordable and widely accessible internet coming into the picture, money is now more of an electronic commodity. The physical money travels remarkably short distances with the banking system. Most of the international payments are carried out in the form of electronic transfers where the reserve banks keep a track of the debt. The death of trust is a phenomenon that has swept our planet without much fanfare. It occurred due to financial innocence and the blame that innocence had to bear. With the world population spiralling higher each year, more rogues entered the ‘scam space’ and destroyed the trust of millions. Be it financial or emotional, the irreversible damage has been done. Look around and notice how difficult it is to establish trust or to trust. Banks have become more powerful than governments. They dictate the rules and gamble with the livelihood of millions worldwide. I will not condone moves that banking institutions had to take in order to create a safe system. They were driven to a futile attempt to rebuild trust through fraud and risk layers. But the death of trust is an irreversible occurrence. Worldwide money fraud has crossed the 8 billion mark despite the valiant efforts of banks to tax customers in order to build better security for their money. Newer ways are being introduced to hold on to the security that they provide. EMV chips require a pin number in order to carry out a transaction. Known as a chip and pin solution, this is technology touted to ‘reduce fraud’. This technology transfers the risk of receiving the payment to the merchant. Intersango sent its users a mail today saying that their US operations will be shutting down. GLBSE vanished a few days back with 8K BTC. Bitfloor was hacked a while ago as well losing 24K BTC. People have been questioning the stability of Bitcoin and whether it is safe to steal from the thieves. Is this the work of a larger profiteer who wants to monetize a safety blanket over Bitcoin? Let us not forget that banks today losing tremendous amounts of money due to frauds and hackers. 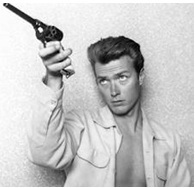 I grew up listening to my dad rave about John Wayne, Clint Eastwood and exciting stories of brazen bank robberies. The robbery stories, I later found out to be true, albeit theatrical. We are back to the days of cowboys hacking their way to a bullet ridden finish. Bitcoin Style. We currently lack a solid elec-trust system that can prevent these issues from overpowering what is needed to clean up Bitcoin. However, Bitcoin is the closest in the world today to any global P2P money transfer enabler. Neither illegal nor legal markets have ever seen anything to compare. Being pseudo-anonymous has its benefits in the high demand, low supply markets written about in prior articles. It does carry its weight in gold in mainstream markets as well. People have built a solid market for jobs with bitgigs.com and Bitcoin enablers such as Bitpay.com who claim over 1000 merchants. Having lived outside a trust based environment all our lives, this is a blessing in disguise as it sells what it describes: A non-trust based network to carry out global trade with ease. With an inbuilt global ledger that validates and stores every transaction on the network this is a future technology, built to enable layers to further protect its value. Escrow services are being setup and forum ratings are becoming the standard for doing business with Bitcoin. Savings banks can come with fees to safeguard money in a cold storage environment. The possibilities of building trust based transactions on this network are endless. As a global ledger has been maintained, Tax can be deducted at source by the government. This can only be enabled by moving income tax from the customer to the merchant in the form of sales tax. We will see changes in the next five to ten years that will shake the foundation of what we thought was our future. Do we really need trust? Or have we come to terms with a new era? Government will shift to primarily land tax. It’ll take too much work to track down which transactions were income and sales vs which transactions were made to self or gift to family members. Land tax also tie naturally with land sovereignty, land of birth, residence citizenship, residence elections, etc. I reflected on this when I was driving back from work and I fail to see how the land tax hypothesis could benefit anyone but the wealthy. Correct me if you think I am wrong on this one. > Taking was the most primitive form of trade. A beating was given for a piece of the pie. This worked just fine, in fact it works till today. >GLBSE vanished a few days back with 25K BTC.